AI and Retail: what relationship? Artificial Intelligence, that intelligence we are already dealing with much more often than we think and which we will increasingly have to deal with in the coming years, arouses predominantly feelings of trust and surprise in people. This becomes clear from the Retail Transformation research carried out by the Digital Transformation Institute and CFMT in collaboration with SWG and Assintel. In fact, 47% of users express trust and 39% surprise, while 80% believe that the consequences of its use are very positive and that we should therefore expect improvements from the integration of algorithms and Artificial Intelligence into everyday life: from the possibility of running our homes better thanks to the use of data and algorithms (42%) to the possibility of being replaced in the most tiring and boring chores and jobs (35%). Yet some fear exists as regards a future in which robots are no longer distinguishable from humans (42%), in which we will be increasingly unable to interact with real people (53%). 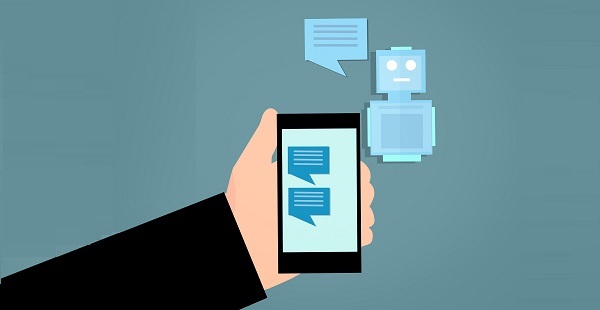 The experiences in which we come across Artificial Intelligence have multiplied: 47% of consumers have used voice assistance software and 31% of those who have never had the occasion say they are interested in doing so in the future. Talking with a virtual voice that manages to solve our problems is the favorite interaction and the one that puts people more at ease (26%), together with visual interaction with a virtual person (26%). On the other hand, there is much more hesitation if it is the case of physical interaction with a three-dimensional reality or avatar for example (only 12% consider it preferable), or a robot/android (9%); finally, 45% of respondents express concern regarding a future in which vehicles drive themselves. So let there be Artificial Intelligence, but “weak”, an intelligence that does not intend to replace man or replicate the human mind, but much more simply perform specific functions better than human beings. There is interest in Artificial Intelligence that is based on algorithms increasingly sensitive to the understanding of our emotions during the man-machine relationship: 68% of users believe it is useful that AI reacts to the emotions of the people with whom it interacts because, while it is true that just over half of consumers are willing to use the virtual shopper, there is the perception of a more pleasant shopping experience linked to the presence of the individual, precisely in relation to the perceived incapacity of Intelligence Artificial to fully understand the needs of the user and give timely answers to specific requests. So, interest yes, and also openness, but there remains a calm distrust. What is the AI ​​market? The companies interviewed admit that for now the interest is low: 68% of client companies make low or no use of Artificial Intelligence and only 36% want to invest in this technology in the future, with a preference, in the short term (1/2 years), for Intelligent Data Processing (56%), Intelligent Objects (60%), Language Processing (54%) and Autonomous Robots (52%). On the other hand, 60% do not intend investing in Autonomous Vehicles in the short term, in line with consumer concerns. And for future implementations there is the idea of ​​having to deal with a rather high complexity in almost all the application areas of AI ​​except for some that are perceived as simpler: Marketing Automation (21%) and Security (24%). Security on which only 37% intend to focus in the next 3 years.